MakeShift is a simple employee scheduling application that offers SMBs a single platform from which to manage employee schedules and track employee time and attendance. Incorporating a powerful scheduling calendar, time clock functionality and real-time updates, MakeShift aims to deliver a flexible employee scheduling solution. In order to manage employee schedules effectively, MakeShift equips users with a smart scheduling calendar. With MakeShift’s online schedule maker, users can assign and communicate shifts directly to staff members. To enhance user productivity, MakeShift grants users quick and central access to relevant information such as employee availability and projected budgets. 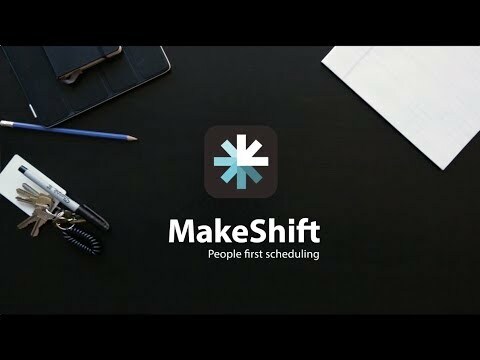 Since MakeShift promotes a native mobile application for iOS and Android, users have the flexibility to manage employee schedules on the move from their smartphone device. Using the MakeShift live mobile app, managers can review staff schedules, adjust clock in/out times and approve employee requests easily. Meanwhile, the MakeShift mobile app allows employees to set availability, trade shifts and request time off simply and conveniently. Moreover, by facilitating real-time updates and custom notifications, MakeShift presents both employees and managers with the same accurate information. Besides employee scheduling, MakeShift also supports other HR processes such as payroll by permitting users to export payroll data to Excel. I wish my company had decided on a different scheduling software altogether. I like that it has an app so I can work from my phone. I like that it has an app so I can work from my phone. The features are very tedious and require so many more steps than necessary. I can't easily access my schedule without going through multiple avenues first. I can't delete shifts from the app. There is no "right click" option on the calendar for quick editing of a shift; you have to take the time to open the shift and make the changes, then save it. To receive accurate pricing information, contact MakeShift directly. MakeShift is available as a native mobile application on iOS and Android, affording managers the flexibility to organize staff schedules from their mobile or tablet device. MakeShift includes a smart online scheduling calendar, providing users with the tools to schedule employees effectively and efficiently. MakeShift presents employee availability information, allowing managers to determine quickly which staff members are available to fill shifts. MakeShift facilitates real-time updates, thereby ensuring users have access to the most current and relevant scheduling information. MakeShift supports other HR operations including time and attendance tracking, conveniently enabling employees to clock in and out and generate accurate timesheets. Below are some frequently asked questions for MakeShift. Q. What type of pricing plans does MakeShift offer? Q. Who are the typical users of MakeShift? Q. What languages does MakeShift support? Q. Does MakeShift support mobile devices? Q. Does MakeShift offer an API? No, MakeShift does not have an API available. Q. What other apps does MakeShift integrate with? Q. What level of support does MakeShift offer?